 the cottage gals: December greetings! I'm not sure how we got here so fast, but Christmas is a mere 20 days away. Ready or not, it's coming fast and furiously. I love this time of year. I just wish I could figure out how to slow it down. I wish I could trade some of the speed with which this season passes with the long slow quiet times that generally follow this season. Why is that? Why does time pass so very quickly when you don't want it to and then slow down so very much that you can almost feel it not moving. Anyway, hope you're able to take in as much as you can of the joys of the season for the time that you have. Make the most of it. Embrace it while you can! Sorry for the lack of posting. Here are some fresh new pictures of the shop and what we have in store for you! For those of you who are local -- we'll be open late Friday night until 9 for First Friday and the lighting of the tree on the Town Green and open late Saturday for the Christmas Parade. Come to Historic Downtown Leesburg and check it out! We're looking forward to seeing you and Suzy on the 17th! You don't know how I wish I lived closer because I just adore your shop. I want to see it so bad!!! أسفنجة لفرك الأسطح : الاسفنجة مع صغر حجمها إلا أن لها دور ضخمً فى عملية التنظيف فهى تقوم بتنظيف الاسطح وتلميعها لن تصدق ذلك إذاً جرب ذلك بنفسك هذه اللحظة .